RAMetallic 1000 & 6000 Series Discs are the original ''6 paddle disc''. Available in solid hub or with urethane encapsulated springs in an eight spring hub that is more effective in absorbing high shock loads. Use Rametallic discs for competition or very limited street applications. The 1000 Series RAMetallic discs are a solid hub disc utilizing sintered bronze metallic friction material that provides crisp, clean engagement. This aggressive material allows you to use less static pressure in the clutch and achieve comparable holding power. This 1000 Series solid hub discs are ideal for increased holding power and light weight, over the 6000 Series sprung hub design, in oval track and road race applications, as well as truck pulling, and limited non-shifting drag applications such as clutch flite or clutch turbo transmissions. RAM 6000 Series paddle discs are the refined version of the original patented 3 point Rametallic disc. Sintered bronze metallic buttons provide crisp, clean engagement. This aggressive material allows you to use less static pressure in the clutch and achieve comparable holding power. 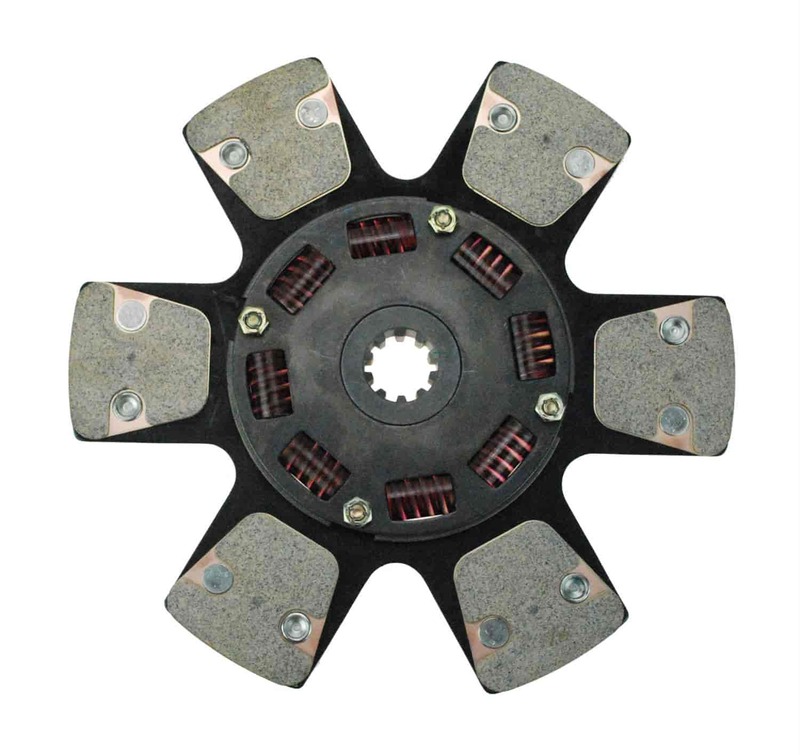 6000 Series discs tend to engage very aggressively and will cause clutch chatter if used in a street application. Sprung 6000 Series discs use the Poly-coil hub damper spring for increased disc life and unmatched dampening qualities. Use 6000 series discs for bracket racing, severe duty street and strip, light duty truck pulling, and increased holding power in oval track applications requiring a stock type pressure plate. Note: 1000 and 6000 series disc measure undersize. For example: 11'' diameter disc are 10-5/8'' diameter; 10-1/2'' diameter disc are 10-1/4'' diameter.